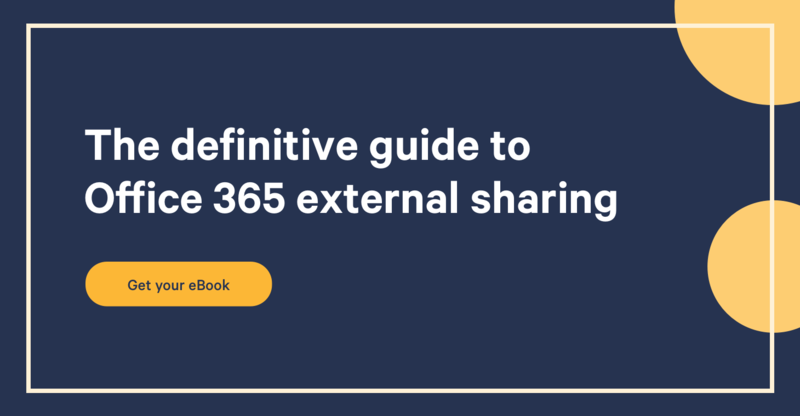 Managing SharePoint content, and especially managing your content's lifecycle, is part (or should be) of your governance plan. Every time I’ve helped customers build a governance plan, we talked about old content, old sites, or, as I said, content without activity. What qualifies as old content for you? 6 months old? One year? Two years ago, my advice was to set up rules or content workflows or an automatic process to be sure no dead content would still be on your environment. But today, with Sharegate and its smart reports, you have a lot of actions you can take to be sure your content is alive, at the right place without polluting your sites. The only way I know to see how old my content is with SharePoint, is to go to the site content for each site and see the last modified date. It’s a big pain to do it for each site and subsites. Actually, it’s quite impossible. By chance, for the last past 3 years I had developers with me on projects, and for each migration or governance project we had, we were running a custom script that would list all sites, lists and libraries with the owners, last modified date and some other metadata. With Sharegate, it’s really simple! You don't need highly technical skills to achieve your goal. You’ve got reports built just for you to search for unused sites, unused documents and lists and libraries. Do it for each object: sites, documents, lists and libraries. By default, we put 6 months as the last modified date, but you can change it for a year, 1 month or specify a custom date. You just need to go to the Find Section through the breadcrumb. You can also rename the query and save it for future use. I like to export the results to excel and use the file to archive or delete content. It only took me a few minutes to list all that information. This is a huge gain of time when you want to manage content. Then, I like to use the Export from SharePoint feature from Migration so I can archive old sites and list/libraries that are deemed too old. You just need to select the source and then choose where to copy the content. Note, you can delete the lists after you've archived them (right click and delete). Lifecycle is one important part of your SharePoint governance, but managing content is also important. Especially with Office 365 when storage cost money. Last week, we had a warning inside our Office 365 tenant saying that storage space was already full. We were really surprised because we’d allowed a lot of space. We used Sharegate to find the biggest list inside our site collection to understand what happened. With the results, we understood that one document library had versioning activated with no limits. All minor and major versions were really huge and weighed a lot. So we decided to delete all historic versions. And then, we decided to put some limitations on all document libraries. I do love Sharegate, it allows us to take a single action and apply it to multiple objects. You can set versioning and limits by making a query on list, select them, click on edit and then activate versioning and specify the limits. Possibilities are infinite, here are some queries/action you can make. (Note: This list isn't of all actions you must do, it’s only ideas). Having a clean and operational SharePoint is a day to day task. You can save a lot of time by using Sharegate, especially when you target a lot of sites or content, or when you need to apply a new rule on multiple sites. And the best thing about it, you don’t need a developer with you anymore to generate insane reports! Let’s grow our environments together with Sharegate! What method do you presently use to manage SharePoint Content?